Studies show the average retailer loses more than $50,000 every year to shoplifters and dishonest employees. Our video security solutions will protect your hard-earned profits and improve your store safety immediately, and deliver returns on your investment for years to come. Comes with everything you need for total security. Easy-to-use covert kit for trouble spots in your store. Plug-and-play IP security without the complexity. See Them. Without Them Seeing You. Choosing the right video security system for your business can be a daunting task. Let our security experts help you find the right solution for your needs. 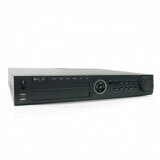 on select video security products. We've served more than 500,000 customers in the US alone. We understand your needs, and how to use video surveillance to solve your problems. Our team of retail experts will customize a solution that best meets your needs, based on years of experience working with our retail end users. Our video surveillance solutions can be easily customized to meet your unique business needs. We'll make sure you get the most from your solution..
We have a 1:1 technician-to-salesperson ratio. Our customers have direct access to our team of experts who are involved in every aspect of product development. Our products are backed by industry-leading warranties and free unlimited technical support, giving you complete peace of mind. It's not a matter of whether you'll be a victim of shoplifting, it's when. It is a major drain on retailer's profits. Estimates show that 75% of employees steal from their employers at least once. This involves an employee and another person working together at the cash register. Calculate real-time conversion rates with your POS device and a people-counting 3D camera. Weather-resistant and long-range cameras with IR capabilities are for more demanding applications. We are uniquely equipped to understand the needs of our retail partners. Call us! Browse our huge selection of video surveillance cameras, including CCTV camera options, dome security cameras, IR security cameras, and IP security cameras. Our network IP camera selection features high definition image quality, built-in analytics, and H.264 compression technology. We have a complete range of covert video cameras, including hidden CCTV cameras, micro DVRs and covert security kits. We offer a wide range of complete, turn-key video security systems that include everything needed for total video security camera system operation. Our wireless security devices, wireless video links, transmitters and receivers let you view security cameras from remote locations. Our IP electronic access control (EAC) solutions include access control systems, door controllers and card readers, and proximity cards. We offer a wide selection of security DVRs for 4/8/16 camera video security systems, plus micro DVRs and mobile DVRs for vehicle security. DIGIOP hybrid DVRs support up to 32 analog and IP cameras and feature advanced analytics and data integration on a scalable platform. Our network recorders are capable of recording from 1 to 32 network IP and megapixel surveillance cameras, with up to 14TB of built-in storage.